Last night was the third and final Presidential debate, before the election on November 8th. 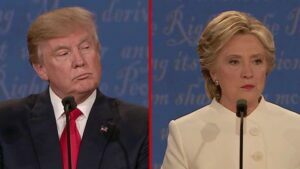 The candidates, Hillary Clinton for the Democrats and Donald Trump for the Republicans were coming off of a second debate which hardly even mentioned guns or gun rights, the third debate definitely brought about some talking points by the two candidates regarding firearms. That prompted Donald Trump to retort: I am a very strong supporter of the second amendment. And I don't know if Hillary was saying it in a sarcastic manner but I'm very proud to have the endorsement of the NRA and it was the earliest endorsement they've ever given to anybody who ran for president. So I'm very honored by all of that. On the subject of gun violence and the high rate thereof in the United States, both candidates had a relatively similar view that there is a problem, but drastically different solutions to the problem. 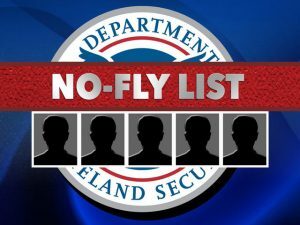 There was only one specific mention to No-Fly Lists and it was from Secretary Hillary Clinton. Mr. Trump had no specific response to this remark. All in all, the third debate, like the others did not focus heavily on gun control and gun rights, but this time there was a specific question by the moderator that did bring about a small back-and-forth of dialogue between the two candidates. Between this and our article about the first presidential debate, we're hoping that you can hear enough information straight from the mouths of the candidates to form an opinion about which one you support on the matter of gun control. Let us know who you think is the better candidate for the future of gun ownership in the country in the comments below. Hillary lied big time last night during the debates when asked about the second amendment and the Heller decision. She totally excluded the actual thrust of the decision and instead focused on the emotional aspect of “protecting toddlers.” The Heller decision had to do with the way in which the city council of DC imposed their Firearms Control Regulations Act of 1975 which I pasted below. This act virtually gutted the second amendment for the residents of DC. The supreme court ruled that in doing so the city council violated the constitutional rights of the citizens of DC. The part of the Firearms Control Act that dealt with having firearms unloaded, disassembled or bound by a trigger lock” rendered moot the possibility of using said firearms for self defense, but this was a small part of the illicit act relative to the banning of virtually all modern firearms for the residents of DC. Hillary tried to make it sound like the Heller decision revolved around keeping toddlers safe. The Firearms Control Regulations Act of 1975 was passed by the District of Columbia city council on September 24, 1976. The law banned residents from owning handguns, automatic firearms, or high-capacity semi-automatic firearms, as well as prohibited possession of unregistered firearms. Exceptions to the ban were allowed for police officers and guns registered before 1976. 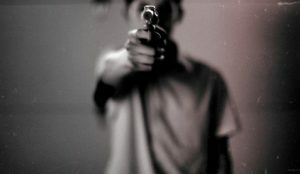 The law also required firearms kept in the home to be “unloaded, disassembled, or bound by a trigger lock or similar device”; this was deemed to be a prohibition on the use of firearms for self-defense in the home. 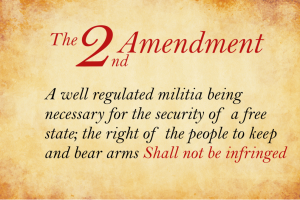 On June 26, 2008, in the historic case of District of Columbia v. Heller, the Supreme Court of the United States determined that the ban and trigger lock provisions violate the Second Amendment. Oddly despite the courts decision regarding trigger locks and how they violate the second amendment the legislature and particularly the attorney general of Massachusetts continue to support their own version of such constitutional infringements. When Hillary says she “supports” the second amendment she really means that she supports her own version of it, a version that is far removed from what the founding fathers envisioned. When Hillary mentioned other “common sense” gun control measures without actually delineating them she was playing it coy for if she was ever really honest about what she had in mind she would lose votes. Trump was too ill prepared, too self absorbed, and apparently unable to even listen to what Hillary said about the second amendment. A sharper candidate would’ve jumped all over Hillary for that.To be a good debater you must have good listening skills, something Trump simply cannot muster.